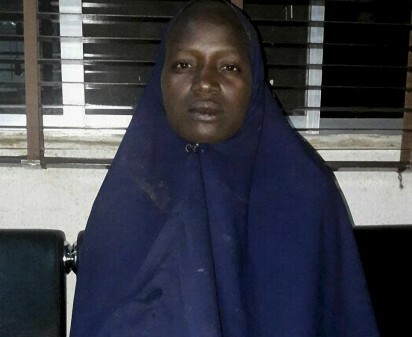 Serah Luka is one of 219 girls abducted from their school in Chibok more than two years ago. The student, who is believed to be a Christian pastor's daughter, said she was "at the school at the time they were abducted" and that she was from Madagali, in neighboring Adamawa state. Serah is one of 219 girls abducted from their school in Chibok more than two years ago. The student, who is believed to be a Christian pastor’s daughter, said she was “at the school at the time they were abducted” and that she was from Madagali, in neighboring Adamawa state.